It was an early start for the crew, heading down to London for our first experience on the Tideway. 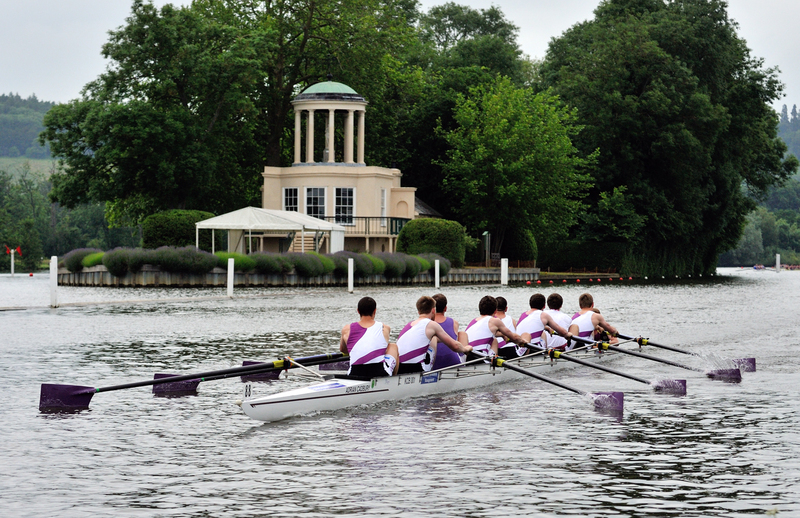 After having our division cancelled in the previous year, we were looking forward to finally getting a chance to row on the Thames. Paddling down to marshall, we warmed up and got used to the choppier waters— very different from what we were used to on the Cam! As we passed the start line, the crew wound it up to a steady rate 32, getting off to a strong start. It was quickly evident that we were gaining on the crew in front of us, getting into position for an overtake. Despite the choppy swells in the middle section of the race, we held our form together and maintained a constant rate of 30/32. We pulled past the crew in front around Hammersmith Bridge, and continued to lengthen the gap between us as we powered down the final section of the course. 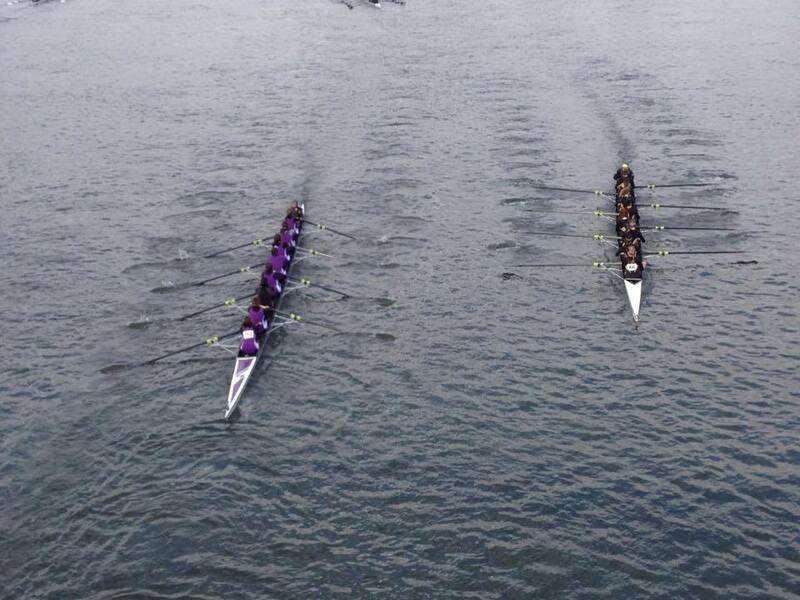 It hardly seemed like any time at all before we were rowing past Putney Embankment, the finish line within reach. With a final burst of power, we crossed the finish in a respectable 24:00.7. Exhausted but exhilarated, we were pleased to see how much our rowing as a crew had improved since we came together at the beginning of Lent term. A perfect way to end and set us up for success in the Mays. 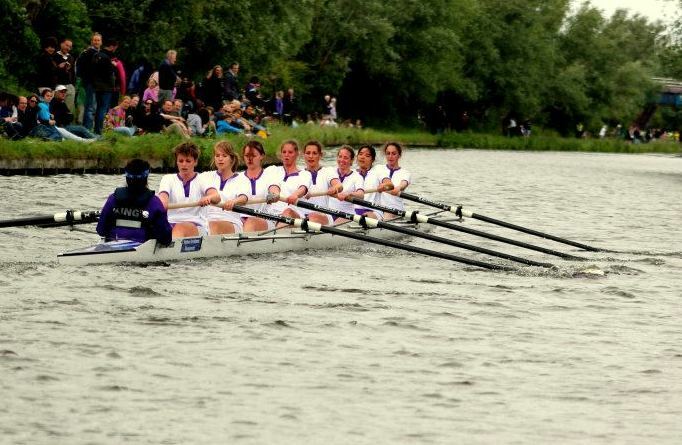 [Bow] Sophie Harrington,  Hana Lewington,  Niamh Mulcahy,  Vanessa Tyler,  Christina Woolner,  Phoebe Thompson,  Ellie Archer, [Stroke] Antoanela Siminiuc, [Cox] Colette Bane, [Boat] Leo Sharpston. M1: [Bow] Kittiphat “Am” Chanthong,  Fletcher Williams,  Chris Jones,  Jack Wright,  Conor Burgess,  Olivier Sluijters,  Conor Bacon, [Stroke] Lachlan Jardine, [Cox] Will Miller, [Coach] Chris Smith, [Boat] Adrian Cadbury. 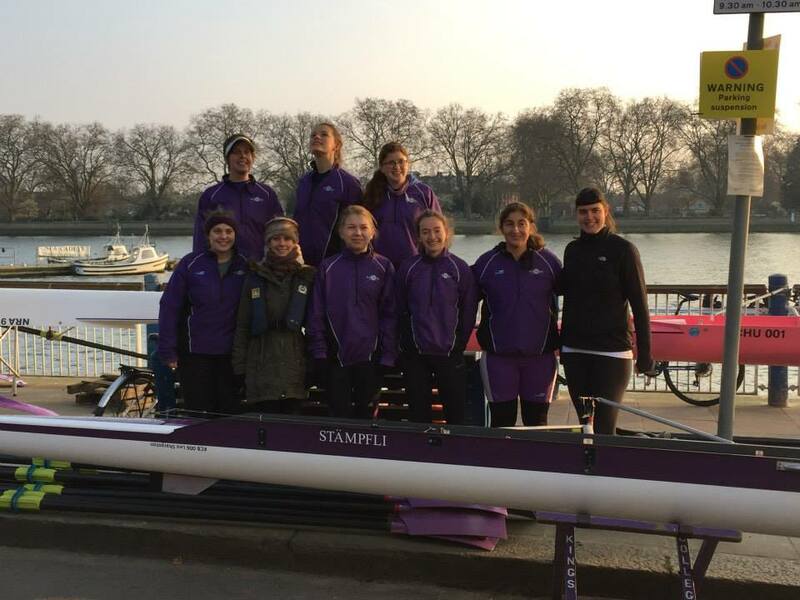 W1: [Bow] Sophie Harrington,  Hana Lewington,  Niamh Mulcahy,  Vanessa Tyler,  Christina Woolner,  Phoebe Thompson,  Ellie Archer, [Stroke] Antoanela Siminiuc, [Cox] Colette Bane, [Coach] Roger Thorogood and Mike Arnold, [Boat] Leo Sharpston. 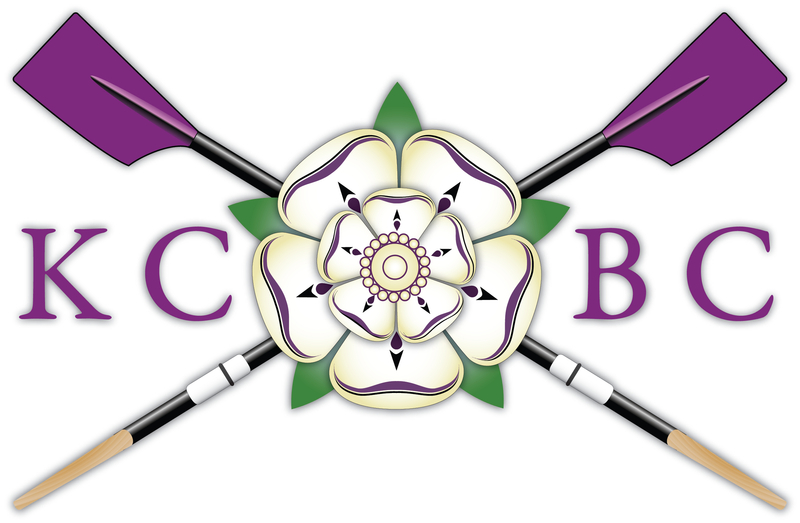 M2: [Bow] Daniel Lucke / Ash Simkins,  Simon Butterwoth,  Theo Di Castri,  Adrian Amer,  Adam Townson,  Joe Gaffney,  Roger Wiederkehr, [Stroke] Charlie Burton, [Cox] Anthony De-Souza Edwards, [Coach] Chris Braithwaite, [Boat] Vicky Wade.